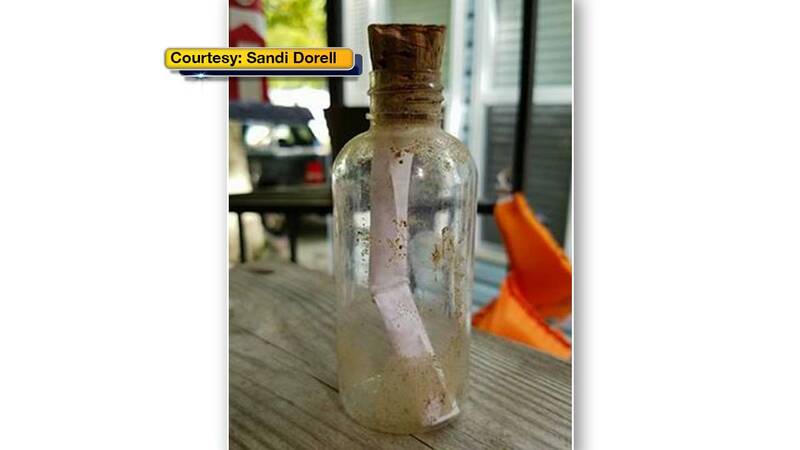 A South Jersey family, who stumbled upon a heartbreaking message in a bottle, is hoping someone can help them reply. SEA ISLE CITY, N.J. (WPVI) -- A South Jersey family, who stumbled upon a heartbreaking message in a bottle, is hoping someone can help them reply. 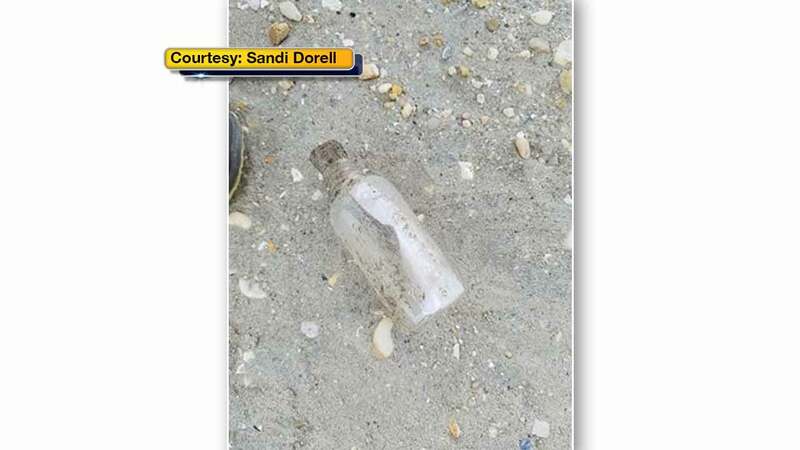 On Monday, Sandi Dorell of Gibbstown and her three grandchildren spotted what looked like a note in a bottle on the dunes of Sea Isle City. 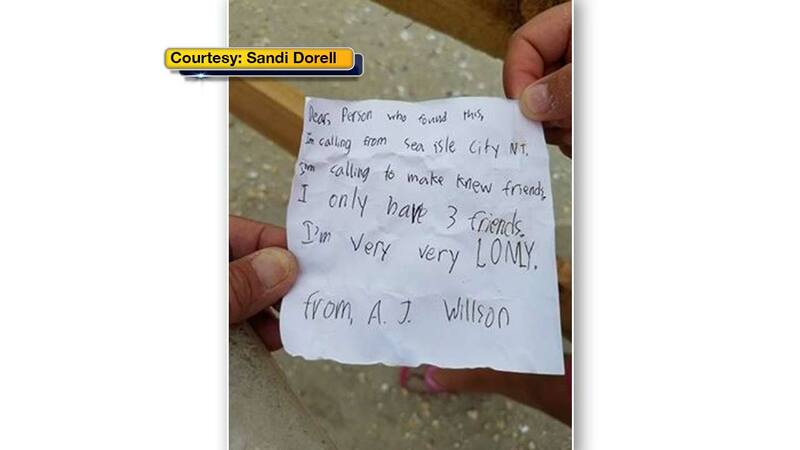 When she opened it up, she found a message from a child named AJ Wilson. It read, in part, "Dear person who found this, I'm calling from Sea Isle City to make new friends, I only have three friends. I'm very lonely." Though the message broke her heart, Dorell was touched by her grandchildren's reaction. "First they thought it was a treasure map. Then when we read the note, they got more excited, because they said we'll be his friend," Dorell said. Though it's not clear when the note was written, Dorell is hoping somehow he'll see it. She just wants AJ to know that he has at least five friends in her family alone.